Kershaw's automatic knife offering, the Launch Series, is simply superb. These knives have a compelling design, fast action, high-performance materials, and they're made in the USA! The Launch 4 has a California-legal blade and ridiculously fast action. 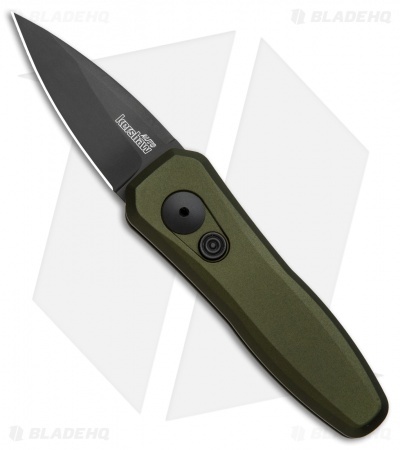 Its symmetry in design, both the OD green 6061-T6 aluminum handle and the black spear point blade, adds distinction. Following the tradition of its predecessors, the Launch 4 has a black firing button and a tip-up carry pocket clip. 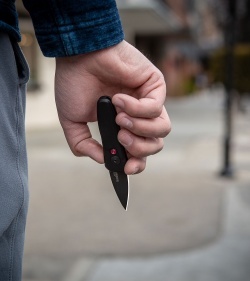 This knife is a pint-sized performer! Check out our in-depth Launch 4 Review to see more on this knife! 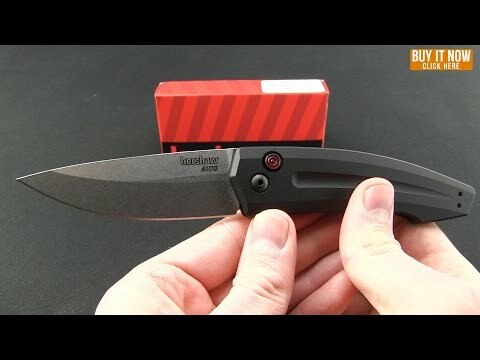 This is a great knife. Small, compact, easy to carry at work. A great little box tape cutter. I have owned it for about 3 months now. My only complaint is that I have dropped it a few times, and it does scratch and ding up easily. With that being said, it is a really bad a** knife. Snappy, quick, and even being on the small size, easy to get a good purchase on it and do what you need to do. Recommend if your looking to buy a small auto. This knife is super snappy and perfect for slacks! I work in an office so this knife is used everyday with my slacks and suits! Razor sharp and good for almost any everday task! Great Value and USA MADE!!! Got the launch 4 today and it is as beautiful as advertised. 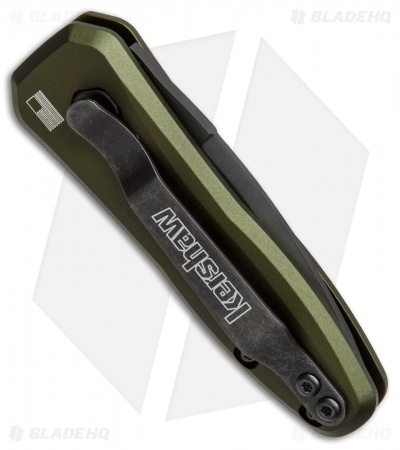 Fast auto action, and a perfect OD Green finish. This will definitely be in my EDC rotation! My wife got me this knife for Christmas and it’s amazing! The fit and finish are perfect and the action is strong and smooth! 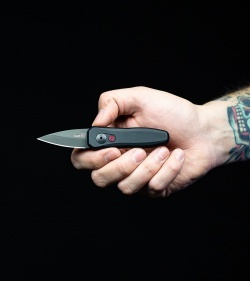 Cool little knife. Came super sharp and opens really fast. Smaller then I am used to for my usual carry knife but makes a good fun utility knife. Good conversation piece. It has worked its way into my usual rotation. My first real auto knife and its a home run. Small so its perfect for edc and no one is freaked out when you deploy it. This is my office knife. If they made the same design with 3" or 4" blade I'd buy it. Most of my pocket knives are much larger than this. I specifically bought because of its small size. I needed a small knife work work in dress pants. This is perfect. It's very fast as well. I'd say the only downside is no blade lock. I never use a lock if I use the pocket clip but when loose in my pocket it's kind of nice insurance. I am going to carry in a small sheath of sorts. Eventually will pick up the black one as well. Received my knife (black) on 8/1/16 and this knife will become my everyday carry now. 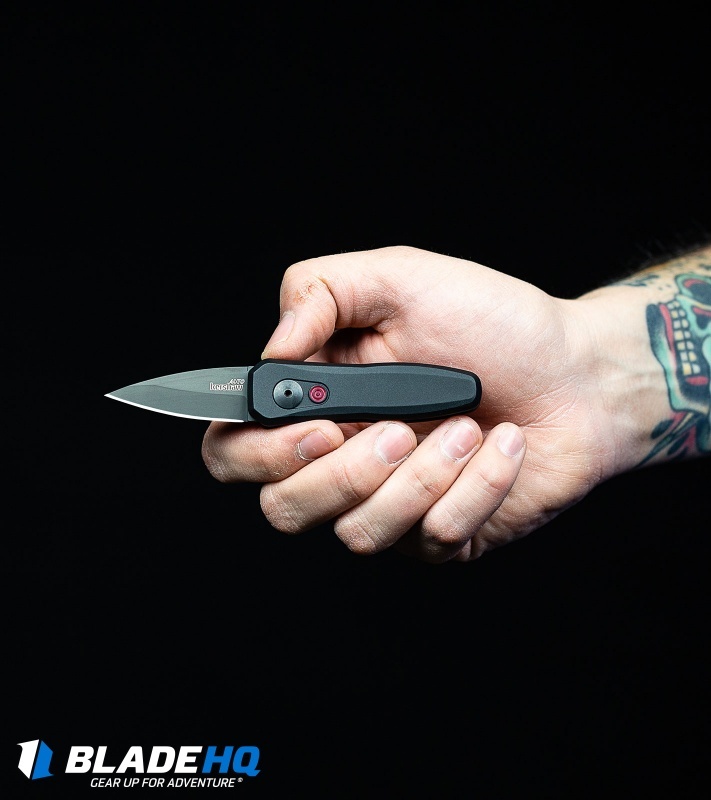 This little knife works flawlessly and very quick. I would give it 10 stars. I love this little guy, great knife. Worth the $$$, get yours now.